Whenever the Supreme Court hands down a ruling on some company’s patent claim to a gene, markets tend to react, as investors worry about possibly far-reaching consequences. This isn’t, of course, surprising. The science behind gene patents is complicated. Biotech patent law is just as confusing, but is even more inscrutable because it is decided by humans, rather than nature. At stake are thousands of gene patents. Late last week, as you may know, the Supreme Court invalidated Myriad Genetics’ patents on two genes, BRCA1 and BRCA2. Mutations in these genes significantly increase the risk of hereditary breast and ovarian cancer. Coincidentally, actress Angelina Jolie recently brought public attention to these mutations. After learning that she inherited the gene flaw, she precluded the risk of breast cancer by opting for a double mastectomy. In a way, it’s understandable. Breast cancer diagnosis is becoming more common over the past few decades. The American Cancer Society, which celebrated its 100th anniversary last month, estimates there will be some 234,000 new cases of invasive breast cancer (and another 65,000 in situ) in the U.S. this year alone. This trend exists in part thanks to better and earlier diagnosis, which is, of course, a good thing. However, incidence rates have also risen, especially in younger age groups. Fortunately, despite a higher number of breast cancer diagnoses, mortality rates haven’t followed the same course. Improved cancer therapies have made it easier for patients to beat the disease, so death rates are falling. Still, the American Cancer Society expects some 40,000 deaths attributable to breast cancer in 2013. Typically, a newly diagnosed nonmetastatic breast cancer patient is scheduled to meet with a surgical oncologist. Once the patient is on the operating table, the surgeon removes the tumor mass. Lymph nodes are also removed to check if the disease has spread. The patient is then scheduled for a course of several chemotherapy drugs, which is then followed by radiation therapy. This happens far too often. Recurrence occurs in one in four patients with breast cancer with a surgically removable tumor mass and cancer-positive lymph nodes. Moreover, the disease most often comes back within a relatively short period of time. Recurrence is most frequent in the first three years after treatment with standard-of-care therapies. Some measures are being taken to prevent this. About a quarter of women who have a mutation in the HER2 cancer gene are eligible to receive continued treatment with a therapeutic antibody, trastuzumab. But trastuzumab isn’t without limits. It has dose-limiting toxicities, including cardiac dysfunction. Clearly, the “standard of care” needs a lot of work. So what’s the impact of the Supreme Court ruling? For the most part, it’s not all that much. While gene patents have been struck down, the court took pains to walk the line between those who say gene patents stifle innovation and those who say they are necessary to make innovation profitable. The language of the ruling specifically clarifies the point that it is not preventing the patenting of applications or methods involving genes. Myriad Genetics’ goal of bringing a patented diagnostic to market, therefore, is still intact. The reasons this won’t matter much to the genetics and biotech world are not found only in the ruling, however. Several factors have contributed to this situation. First, the gold rush for gene patents took place in the mid-’90s. As a result, the big gene patents with the potential to inhibit the development of new technologies are nearing the end of their life spans. Secondly, biotech has never taken it for granted that patents on genes would hold. The concern over the legal stability of gene patents led the industry to hedge their patent bets in several ways. Efforts were, therefore, made to find ways of modifying cells that did not include direct gene transfer, which was used by noted stem cell researcher and Nobel Prize winner Shinya Yamanaka. Also, patent strategies now include various “picket fence” patents that will stand even if gene patents do not. For example, Myriad applied for patents on the complementary DNA (cDNA) — a non-natural version of the gene in question — for each of the genes they test. These cDNAs are manufactured for use as part of the diagnostic technology and are deemed patentable. This type of supportive patent filing strategy is typical of the industry. If you’ve been reading Tomorrow in Review, you know that BioTime subsidiary LifeMap is leading the way in providing full and constantly updated analysis of individual genomes. Recently, a collaboration with Appistry Inc. was announced, combining the information from individual sequenced genomes with LifeMap’s knowledge base. 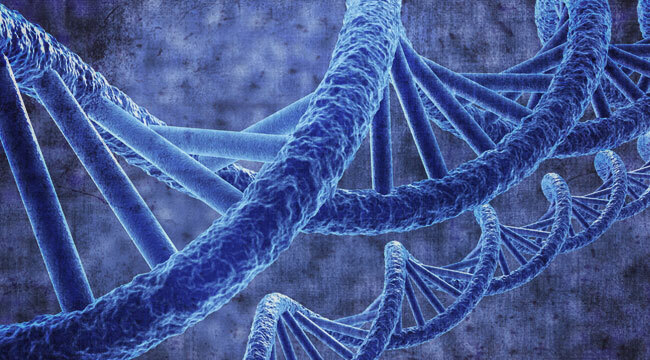 This is a major breakthrough in terms of finally making genome sequencing medically useful. The Myriad Genetics ruling indicates to me that LifeMap has the right to present the best current scientific information known about any of the genes in a sequenced genome. While Myriad has charged as much as $3,000 for their cancer mutation diagnostic, which looks at only two genes, you could get that same information included in your completely sequenced genome. The results would not be considered an approved medical diagnostic, but the information would be there anyway. While the price of LifeMap’s service hasn’t been announced, I don’t believe it will be much more than the cost of a few individual gene-based diagnostics. Therefore, if you have your genome sequenced and match the results with information from LifeMap, you’ll get far more information than you would get from only the BRCA1 and BRCA2 diagnostic. At this point, we have only begun to understand how valuable a sequenced genome will be, but the breast cancer mutation information gives us an inkling. If there was going to be any kind of a legal challenge to an interpreted genome, I think it is no longer a serious threat.